For every mother who has thought, -I just blew it with my kids, - for every wife who thinks she just can't stand to pretend anymore, for every friend who thinks she's reached the end of her patience, for every headline you read about someone who has compromised?there's a story that started from birth and led to the chapter she is currently surviving. 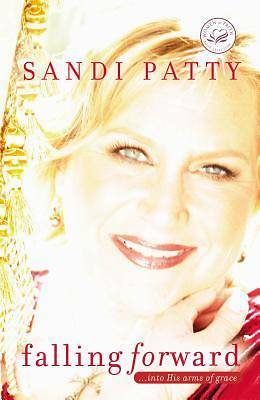 Sandi Patty knows more than a little about such stories. At the height of a spectacular singing career, Sandi found herself in the middle of an affair, a divorce, and a fall from grace that couldn't possibly have been more public. How could she have mde those choices? What are the warning signs that disaster is ahead? What are the steps needed to rebuff temptation? How do you recover from such a visible shame? Is there life after failure? Sandi describes the red flags that indicate a crisis on the horizon as well as the path to recovery. She shares how she managed to move on, with God's grace and the help of friends and family . . . and she shows how you can see crossroads looming in your own life and find safe places to fall. From relearning joy to finding the right support group, Sandi helps us all to begin anew, embracing the power of God's redemptive grace.